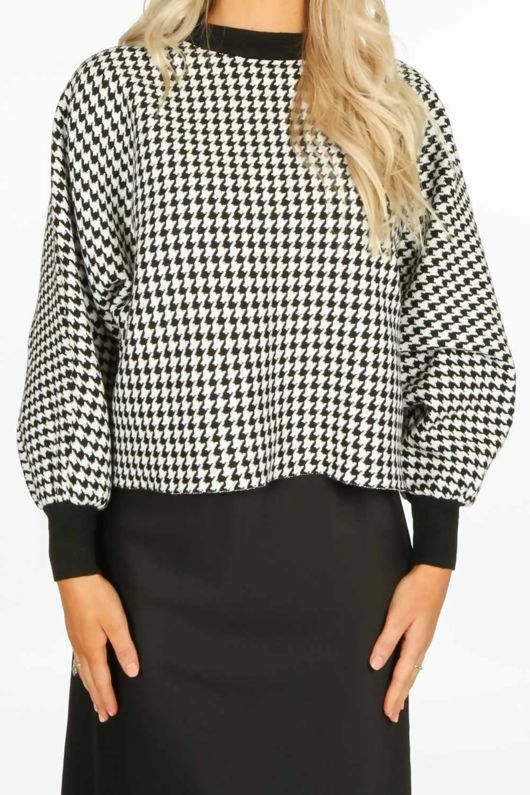 Make a statement with your outfit in the Monochrome Dogtooth Check Over-Sized Jumper. This sweater features an all over dogtooth print with a round neckline and long balloon style sleeves. The oversized fit will keep you super comfy. 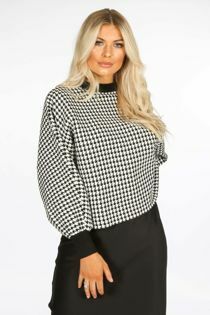 Style this with an on trend satin bias midi skirt and sock boots or throw it on with jeans and trainers for a more effortless look.